San Diego City Council members Monica Montgomery and Georgette Gomez called on state officials Monday to open an independent investigation into the in-custody death of 24-year-old Aleah Jenkins. Montgomery and Gomez requested the inquiry in a joint statement in response to a news conference last Friday from District Attorney Summer Stephan in which she released body-camera video of Jenkins’ time in police custody and said that Jenkins’ death was caused by a lack of judgment rather than criminal negligence. The two officials called on the state’s Department of Justice and Attorney General Xavier Becerra to open an investigation into the circumstances of Jenkins’ death. Montgomery and Gomez also urged the San Diego Police Department to reform its policies regarding the treatment of people in custody. Jenkins died Dec. 6 nine days after being arrested during a traffic stop on an outstanding warrant for methamphetamine possession. Jenkins passed out while waiting at the SDPD’s downtown headquarters and paramedics subsequently rushed her to the hospital. Stephan announced Friday that medical examiners found upward of 17 times the lethal dose of methamphetamine in Jenkins’ blood system. 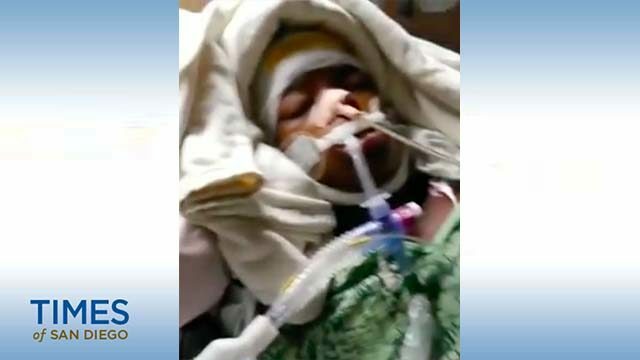 Her official cause of death, according to the District Attorney’s Office, was hypoxic- ischemic encephalopathy, a lack of blood and oxygen flow to the brain.